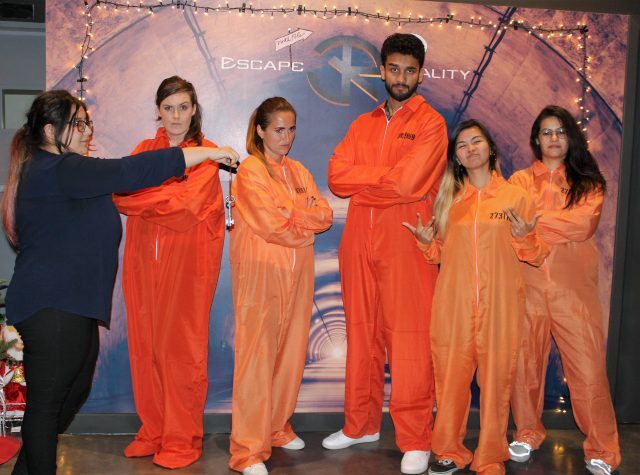 We Just Took On Escape Reality’s Most Difficult Escape Games! If you were locked up in a room with others, do you think you could escape in under 60 minutes? You’ll need to put on your thinking caps, look for clues, and (hopefully) get out before it’s too late! Team 1 chose to go with Alcatraz, an escape game based on breaking out of jail. The story revolves around a group of criminal masterminds who are trying to escape from Alcatraz, San Francisco’s highest security prison. No prisoner has ever escaped, but our team has a plan and we need to hurry before the warden catches us! With only 60 minutes to spare, we all had to work together to solve the puzzles and eventually, escape from Alcatraz! 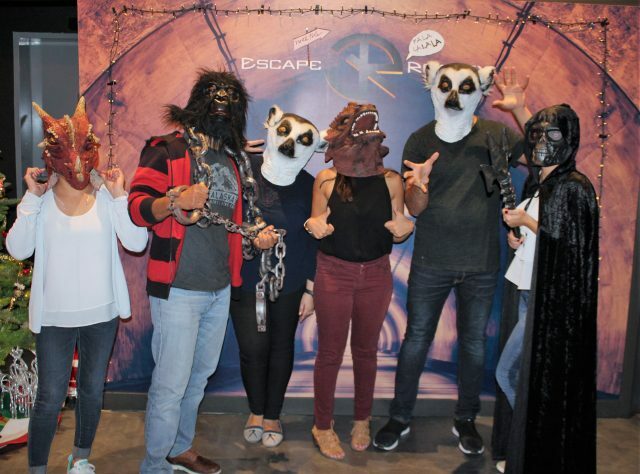 It started off a little confusing, especially for those who have never done an escape room before, but we soon got the hang of it once all the pieces of the puzzle started fitting together. insydo tip: The whole ‘Prison Break’ theme feels very realistic, and the puzzles are quite clever. Don’t overthink it though, some clues in this room are literally right in front of you. While that was happening, Team 2 were busy trying to survive Apocalypse, an escape game that revolves around cannibals and bioweapons! In this room, we were the Goblins, a rescue team called to investigate a series of cannibalistic homicides in Dreadwood City. The police and special forces failed to prevent the horrific crimes, so our team had to follow their tracks to an old factory to find clues, uncover the truth and save the city! All prepared to beat the other team, we put our heads together and quickly got through the first few puzzles. However, towards the end it got a little more difficult, and we eventually had to get help to connect the dots and move on to the next part. insydo tip: Bring a friend who’s good at solving math problems – you’ll need them for some of the puzzles! The winners were the prisoners of Alcatraz! Team 1 escaped in just 54 minutes, while Team 2 got out in 67 minutes (only because our awesome game master let us stay in a few minutes longer to complete the challenge). 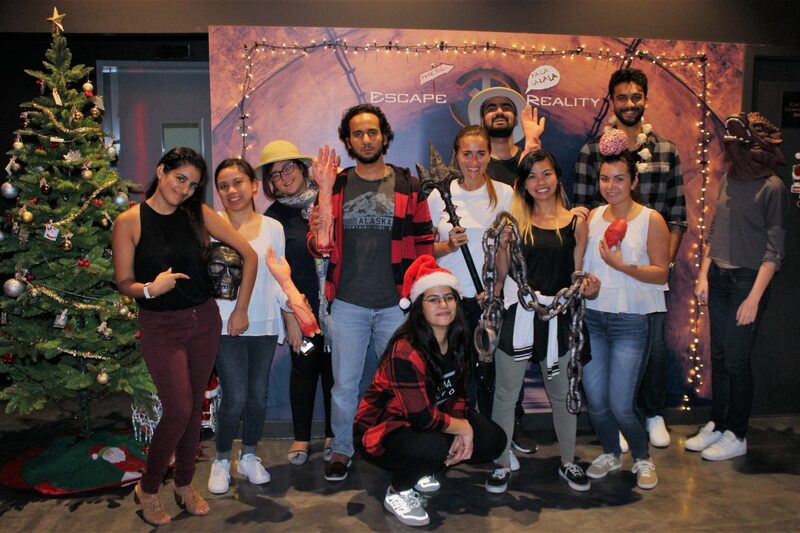 The entire insydo team had a super fun Team Day at Escape Reality, and we can’t wait to go back and try out the other escape rooms! If you like Jumanji, you will love this. After playing an old board game, you’re suddenly stuck in a different world and must complete the game to escape! Inspired by Game of Thrones, you must find out who the rightful heir to the Iron Throne is, before a war breaks out in the kingdom. While testing out artificial intelligence, the robots start showing human-like emotions and take control of the lab. You and your team need to escape before you become part of the experiment! Set in 1841, you are investigating a series of untimely deaths and all leads point towards an infamous vampire, Nosferatu. You must catch him before he catches you. You are assigned to solve a murder in an art gallery, while dangerous individuals are trying to prevent you from uncovering the truth. Can you solve the murder before they catch you? Think you’ve got what it takes to beat our final time? You can book your escape games online on Escape Reality’s website. First timer? Fear not! You can check out Escape Reality’s video guide for a helpful breakdown of what’s involved. nextWe Spent the Day Zip-Lining and Climbing Through Aventura Dubai!